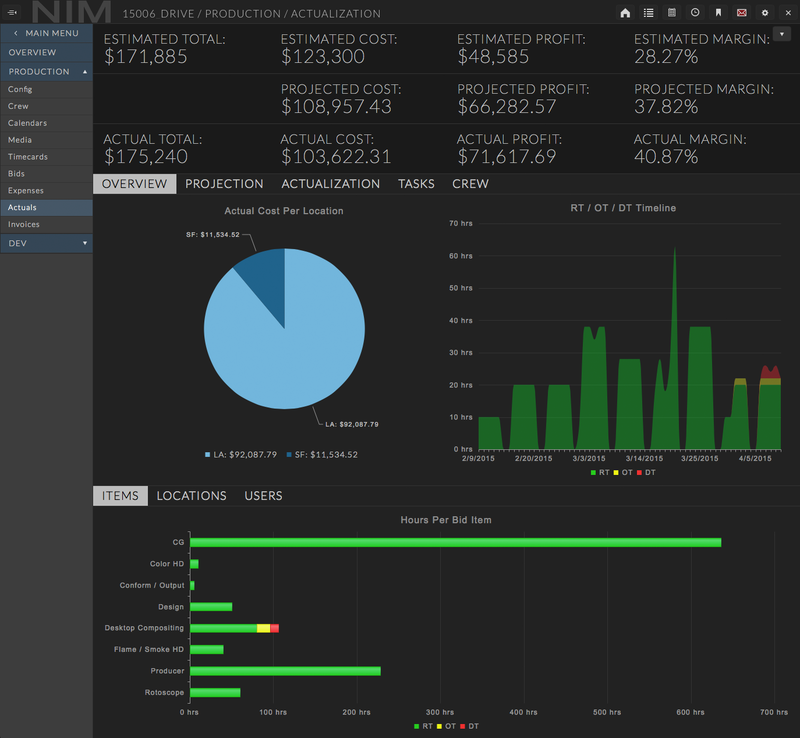 NIM’s comprehensive feature set is designed to provide you with a greater understanding of your business. Intelligent insight across scheduling, timecards, task tracking, and creative review enable sharper focus across even the most complex projects, while in-depth bidding functionality means you won’t run over budget. 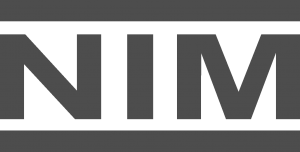 What’s more, NIM is completely secure – in contrast to cloud-based solutions, NIM is locally installed, meaning your data remains secure behind a firewall. Your home base. NIM’s dashboard provides immediate access to all of a studio’s assigned jobs, tasks, and notes at the click of a button. Only want to see jobs that are relevant to you? User-defined bookmarks enable you to do just that. Get instant oversight on any tasks assigned to you – and filter further by current status. Easily access all notes sent to you – including whiteboard images – without digging down into the job. Access all job information at a glance via the project’s homepage, with inline editing for all elements. Gantt chart scheduling means your artists know exactly when they need to start, and finish, assigned tasks. The ultimate bird’s-eye view of all tasks, all jobs and all artists – it’s your studio, visualized. Quickly restore any prior job using unique ID keys and log project archives, and add multiple jobs per backup media for maximum density. Optimize time management – schedule resources and artists based on keywords and jobs, and explore further depth with user-defined custom statuses. 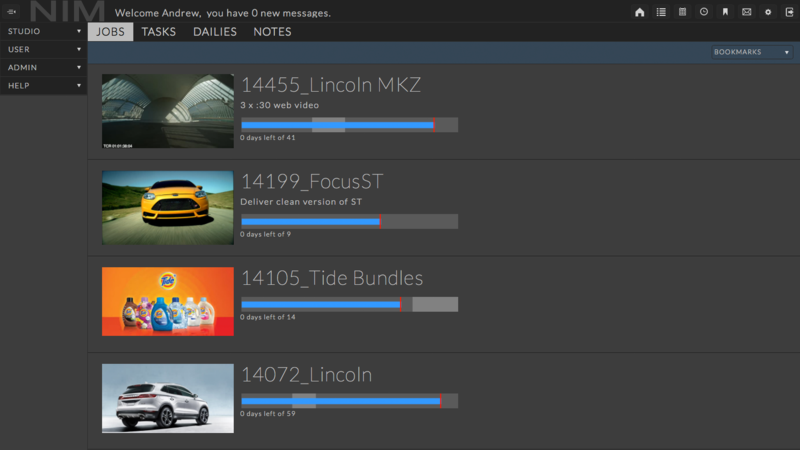 Instantly recognize task status via NIM’s visually led and studio-defined color coding functionality. Make quick changes on the fly: add tasks to assets and shots, add artist assignment to tasks, and make task status updates via simple drag-and-drop menus. Monitor all media flowing through the studio via date-stamped tracking logs. Work the way you like: NIM manages entire projects, from folder structure onwards, using templates defined by you. 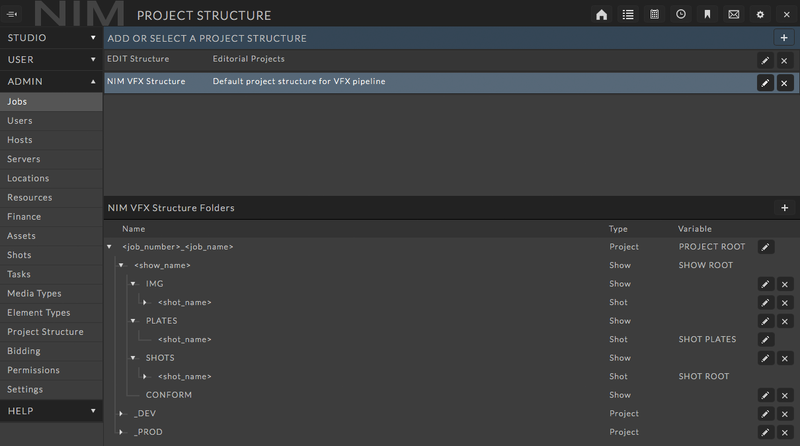 Accommodate the needs of varied jobs by creating multiple project structure templates tailored to each task at hand. Gain greater oversight by defining your project folders in relation to the items they contain, rather than using static folder structures. Achieve total project consistency – attach multiple servers to a job to replicate assigned project structure across all connected systems. NIM is totally flexible – it can be used with or without managed project structures, so it can easily integrate into any studio environment. Communicate creative concepts – share visual feedback using on-video drawing and text tools. All whiteboard drawings are saved per frame and are viewable at any time. 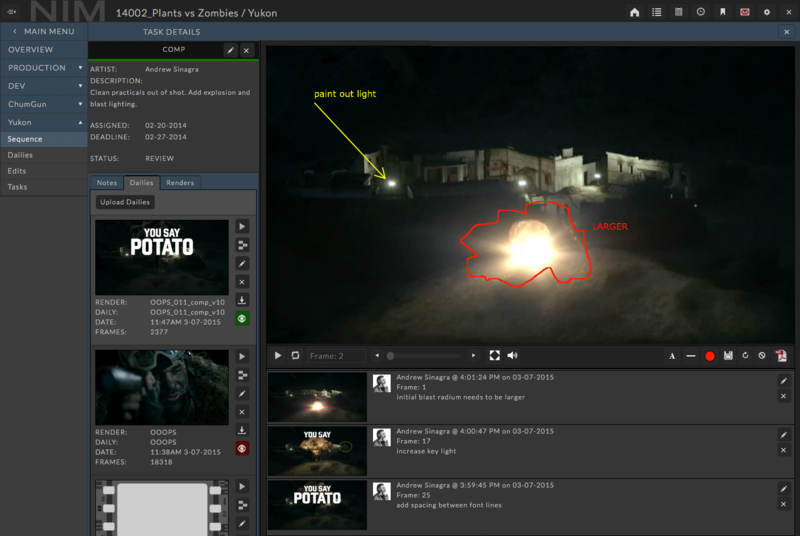 Simply drag and drop direct from your desktop to upload edits or individual dailies for review. 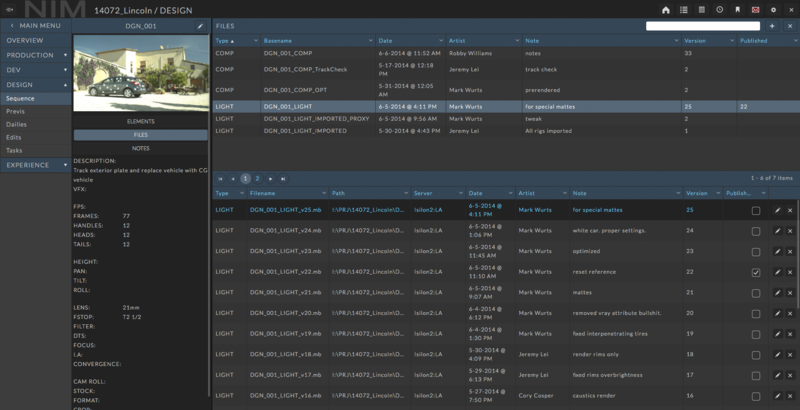 Seamless integration with Thinkbox’s Deadline render management means NIM can automatically upload Deadline Draft renders direct to the user’s task for review. Generate a record of all notes on an edit or task dailies via PDF export – great for sharing with artists or clients following a session. Access bidding functionality you won’t find anywhere else: create bids from studio-defined line items and custom bid templates, and version bids to keep track of changes throughout the bidding process. Multiple bids can be awarded to accommodate multiple phases of a job and client overages, and export PDFs are great for presenting directly to the client. Ensure artists’ time is well spent: NIM charts the progression of a project by artist time with per-user overtime and double-time. If you’re working across multiple studios, artists can be categorized by location to quickly review division of labor. Enjoy easy yet reliable time management via a robust 4-stage Timecard Approval process. Know what was spent and where: calculate job actuals from an awarded bid against timecards, project expenses and overages. Determine estimated hard costs and track money spent on overtime and double-time throughout the course of the project and compare your initial bid estimate against the final result. Remove financial guesswork: project the financial outcome of your project on a daily, weekly, or full-job basis, using estimated time per artist and expenses to compare against the original bid and running actuals. Work at speed: file naming conventions are automatically handled when saved from content applications that support NIM’s connectors. Automatically publish files directly from 3rd party software or within NIM. The use of symbolic linking and file replication are also available depending on server OS. Streamline your referencing systems: Asset Masters provide version-less asset entities. NIM connectors plug directly into your favorite content creation software allowing you to select files by task and version rather than name. We ensure your server is fully configured and working from day one by distributing NIM as a virtual appliance. Get up and running with ease – simply hit start on your virtual server and you’re ready to dive into NIM. API Keys enable per-user security group-defined API access. Stay up to date with the latest studio updates and feedback via your inbox. Connect the way that makes most sense to your studio via NIM’s robust Python and Web API. 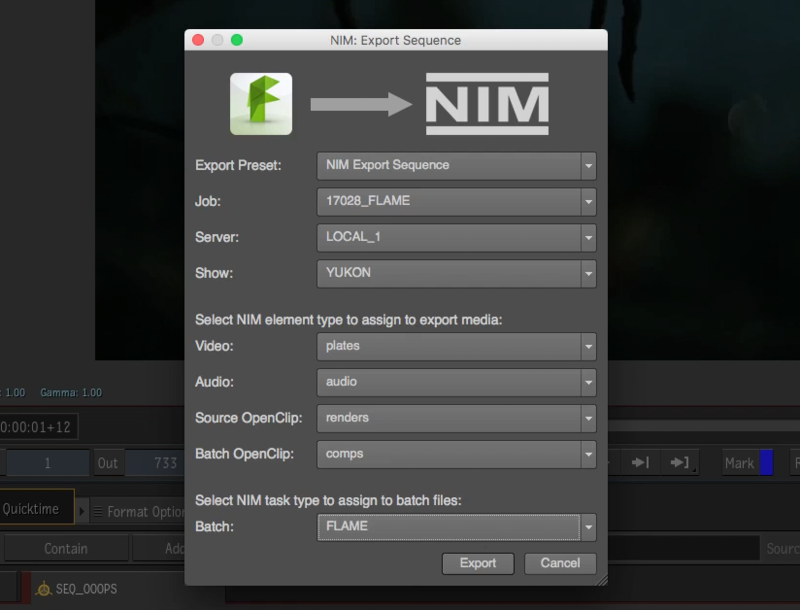 You can tailor NIM access directly to your existing toolset, incorporating its strength into your studio pipeline. Define who can see what and when: assign specific permission groups across your studio. Keep information secure: only users that are assigned to the project can see private project details, meaning sensitive jobs stay under wraps. Add object-based security access to jobs, assets, shots, and custom fields via enhanced Security Groups. Manage security on a deep level – granular permission items allow for specific abilities to be granted on a per-action level. Safely guard information behind your firewall – NIM lives as a virtual appliance on your local network so project work never leaves the studio. Ensure secure connectivity across all communications.